Arinto is well known from Vinho Verde and Bucelas regions. It is usually fresh and tropical and this wine shows it. Fresh, mineral, and fruity, it will be a great pair to fish, white meats and sushi. 5 stars! Viticulture and Enology: The grapes are harvested early in the morning, after each they are cleaned, pressed and the juice filtered and left for a period of 48 hours at a low temperature to allow the sediment to settle. There is then a 30 day fermentation period at a temperature of 12ºC. At this point, it is transferred into stainless steel vats at the constant temperature of 8ºC, after which is ready to bottling. 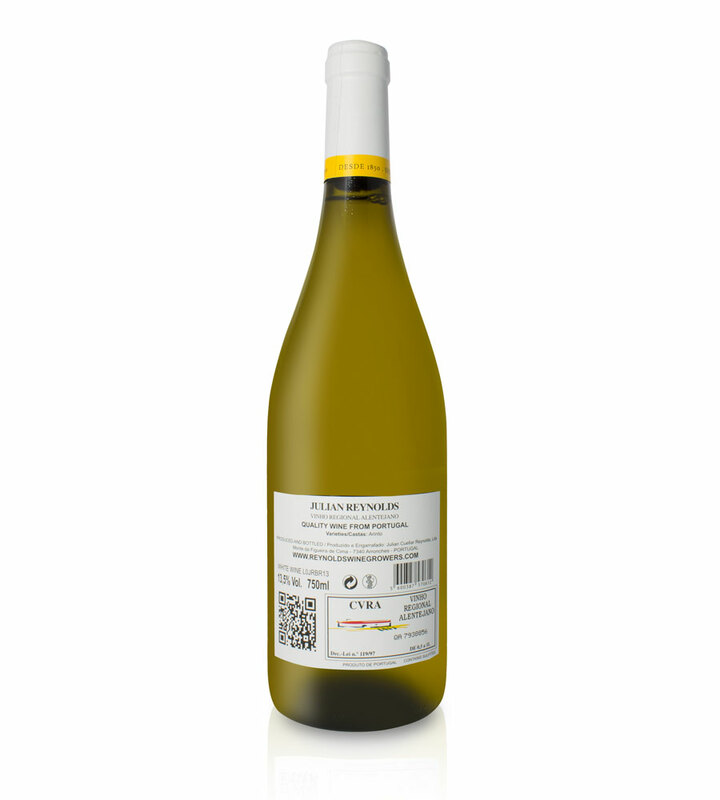 Tasting notes: It is a wine with an important aromatic component, where citrics can be found and which makes this wine very nice and fresh for summer. 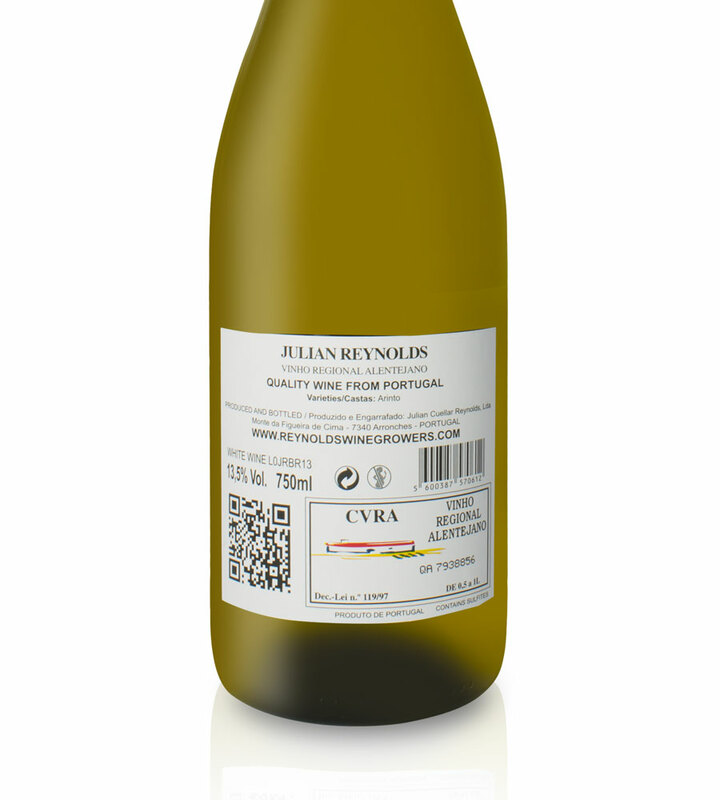 When tasting, it is very elegant and fruity, with a fantastic balance and refreshing end. Suggestions: To drink not too fresh, being a perfect aperitif, and the right match with fresh cheeses, seafood and all type of fish. It should be served at a temperature of 11ºC to 12ºC. Thomas Reynolds, an English seaman and merchant, arrived in Portugal in 1820, attracted by the potential of the wine trade. He settled in the northern town of Porto with his two sons, Thomas and Robert, and from there they supplied their London store with a variety of products from the Iberian Peninsula. In 1838, they became involve in the cork industry and set up a factory for the manufacture of cork stoppers in Alburquerque (Spain), where they lived for eleven years. It was a profitable business and soon new cork factories opened in Portugal and Spain. Robert, meanwhile, had remained in Estremoz to take care of the business and soon expanded it with the purchase of new land for the production of quality wine, an activity for which he was particularly passionate. 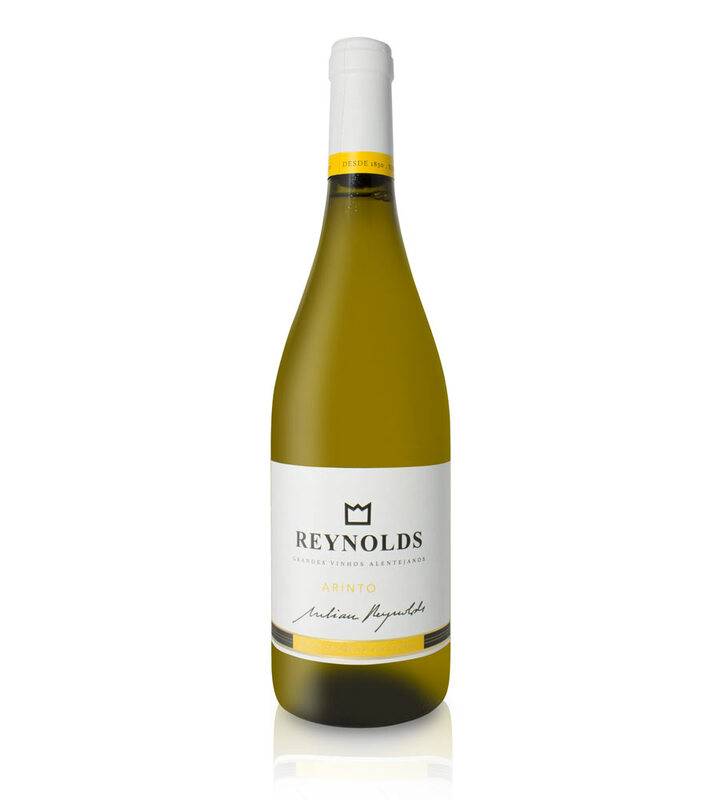 The Alentejo soon became the resting place in Portugal of the Reynolds family and of Robert, the family patriarch. It was here that his first son, Robert Rafael, was born, who later had a son called Carlos. Carlos’s first child was a daughter whom he named Gloria – Gloria Reynolds. To honour his mother and all his ancestors who lived in the Alentejo, Gloria’s son Julian produce a quality wine, which carries his mother’s name – Gloria Reynolds.